We propose a family of low-cost and thin actuators which can be driven by thermal energy. The actuator consists of a printed pouch and low boiling point liquid inside, and inflates when attached with an outer thermal source. 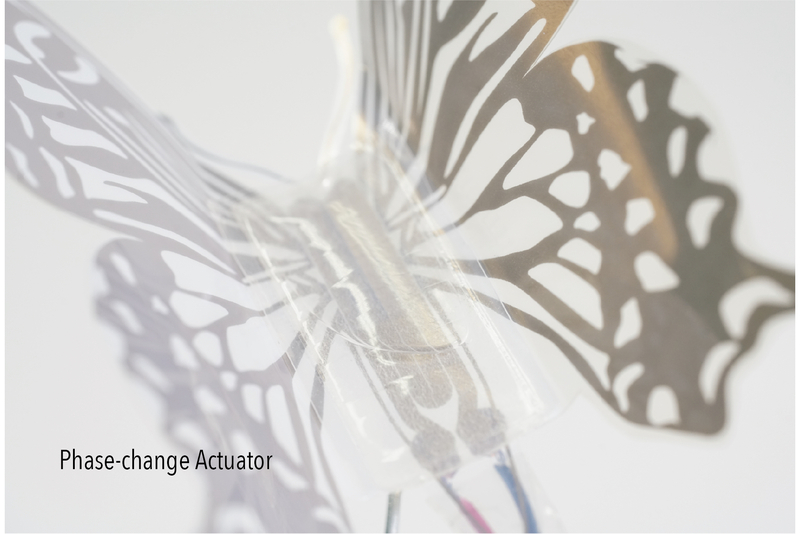 We make use of its flexibility, variety of channels to actuate, and affinity with mass production to several applications; we succeed in integrating the actuator with planar electric components into a paper robot, including a capacitive touch sensor and an electric heater to actuate using inkjet printing process; we also apply the actuator to a texture-changing architecture which reacts to strong sunlight and high temperature.